The great plate count anomaly. Counts of cells obtained via cultivation are orders of magnitude lower than those directly observed under the microscope. This is because microbiologists are able to cultivate only a minority of naturally occurring microbes using current laboratory techniques, depending on the environment. Microbial ecology (or environmental microbiology) is the ecology of microorganisms: their relationship with one another and with their environment. It concerns the three major domains of life—Eukaryota, Archaea, and Bacteria—as well as viruses. Microorganisms, by their omnipresence, impact the entire biosphere. Microbial life plays a primary role in regulating biogeochemical systems in virtually all of our planet's environments, including some of the most extreme, from frozen environments and acidic lakes, to hydrothermal vents at the bottom of deepest oceans, and some of the most familiar, such as the human small intestine. As a consequence of the quantitative magnitude of microbial life (Whitman and coworkers calculated 7030500000000000000♠5.0×1030 cells, eight orders of magnitude greater than the number of stars in the observable universe) microbes, by virtue of their biomass alone, constitute a significant carbon sink. Aside from carbon fixation, microorganisms' key collective metabolic processes (including nitrogen fixation, methane metabolism, and sulfur metabolism) control global biogeochemical cycling. The immensity of microorganisms' production is such that, even in the total absence of eukaryotic life, these processes would likely continue unchanged. 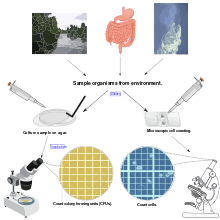 Beijerinck and Windogradsky, however, were focused on the physiology of microorganisms, not the microbial habitat or their ecological interactions. Modern microbial ecology was launched by Robert Hungate and coworkers, who investigated the rumen ecosystem. The study of the rumen required Hungate to develop techniques for culturing anaerobic microbes, and he also pioneered a quantitative approach to the study of microbes and their ecological activities that differentiated the relative contributions of species and catabolic pathways. Microbes, especially bacteria, often engage in symbiotic relationships (either positive or negative) with other organisms, and these relationships affect the ecosystem. One example of these fundamental symbioses are chloroplasts, which allow eukaryotes to conduct photosynthesis. Chloroplasts are considered to be endosymbiotic cyanobacteria, a group of bacteria that are thought to be the origins of aerobic photosynthesis. Some theories state that this invention coincides with a major shift in the early earth's atmosphere, from a reducing atmosphere to an oxygen-rich atmosphere. Some theories go as far as saying that this shift in the balance of gases might have triggered a global ice-age known as the Snowball Earth. Microorganisms are the backbone of all ecosystems, but even more so in the zones where photosynthesis is unable to take place because of the absence of light. In such zones, chemosynthetic microbes provide energy and carbon to the other organisms. Other microbes are decomposers, with the ability to recycle nutrients from other organisms' waste products. These microbes play a vital role in biogeochemical cycles. The nitrogen cycle, the phosphorus cycle, the sulphur cycle and the carbon cycle all depend on microorganisms in one way or another. For example, the nitrogen gas which makes up 78% of the earth's atmosphere is unavailable to most organisms, until it is converted to a biologically available form by the microbial process of nitrogen fixation. Due to the high level of horizontal gene transfer among microbial communities, microbial ecology is also of importance to studies of evolution. Biotechnology may be used alongside microbial ecology to address a number of environmental and economic challenges. For example, molecular techniques such as community fingerprinting can be used to track changes in microbial communities over time or assess their biodiversity. Managing the carbon cycle to sequester carbon dioxide and prevent excess methanogenesis is important in mitigating global warming, and the prospects of bioenergy are being expanded by the development of microbial fuel cells. Microbial resource management advocates a more progressive attitude towards disease, whereby biological control agents are favoured over attempts at eradication. Fluxes in microbial communities has to be better characterized for this field's potential to be realised. In addition, there are also clinical implications, as marine microbial symbioses are a valuable source of existing and novel antimicrobial agents, and thus offer another line of inquiry in the evolutionary arms race of antibiotic resistance, a pressing concern for researchers. Microbes exist in all areas, including homes, offices, commercial centers, and hospitals. In 2016, the journal Microbiome published a collection of various works studying the microbial ecology of the built environment. A 2006 study of pathogenic bacteria in hospitals found that their ability to survive varied by the type, with some surviving for only a few days while others survived for months. The lifespan of microbes in the home varies similarly. Generally bacteria and viruses require a wet environment with a humidity of over 10 percent. E. coli can survive for a few hours to a day. 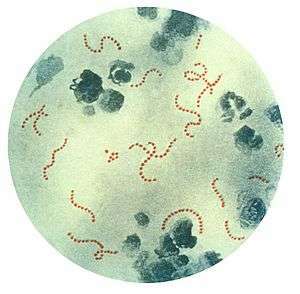 Bacteria which form spores can survive longer, with Staphylococcus aureus surviving potentially for weeks or, in the case of Bacillus anthracis, years. In the home, pets can be carriers of bacteria; for example, reptiles in particular are commonly carriers of salmonella. S. aureus is particularly common, and asymptomatically colonizes about 30% of the human population; attempts to decolonize carriers have met with limited success and generally involve mupirocin nasally and chlorhexidine washing, potentially along with vancomycin and cotrimoxazole to address intestinal and urinary tract infections. Some metals, particularly copper and silver, are relatively microbial. Using antimicrobial copper-alloy touch surfaces is a technique which has began to be used in the 21st century to prevent transmission of bacteria. Silver, particularly in nanoparticle form, has also began to be incorporated into building surfaces and fabrics, although concerns have been raised about the potential unhealthy side-effects of the tiny particles on the body. ↑ Hugenholtz, P. (2002). "Exploring prokaryotic diversity in the genomic era". Genome Biology. 3 (2): reviews0003.reviews0001–reviews0003.reviews0001. doi:10.1186/gb-2002-3-2-reviews0003. PMC 139013 . PMID 11864374. ↑ Barton, Larry L.; Northup, Diana E. (9 September 2011). Microbial Ecology. Wiley-Blackwell. Oxford: John Wiley & Sons. p. 22. ISBN 978-1-118-01582-7. Retrieved 25 May 2013. ↑ Bowler, Chris; Karl, David M.; Colwell, Rita R. (2009). "Microbial oceanography in a sea of opportunity". Nature. 459 (7244): 180–4. Bibcode:2009Natur.459..180B. doi:10.1038/nature08056. PMID 19444203. ↑ Konopka, Allan (2009). "What is microbial community ecology?". The ISME Journal. 3 (11): 1223–30. doi:10.1038/ismej.2009.88. PMID 19657372. ↑ Whitman, W. B.; Coleman, DC; Wiebe, WJ (1998). "Prokaryotes: The unseen majority". Proceedings of the National Academy of Sciences. 95 (12): 6578–83. Bibcode:1998PNAS...95.6578W. doi:10.1073/pnas.95.12.6578. JSTOR 44981. PMC 33863 . PMID 9618454. ↑ "number of stars in the observable universe - Wolfram|Alpha". Retrieved 2011-11-22. ↑ Reddy, K. Ramesh; DeLaune, Ronald D. (15 July 2004). Biogeochemistry of Wetlands: Science and Applications. Boca Raton: Taylor & Francis. p. 116. ISBN 978-0-203-49145-4. Retrieved 25 May 2013. ↑ Delong, Edward F. (2009). "The microbial ocean from genomes to biomes". Nature. 459 (7244): 200–6. Bibcode:2009Natur.459..200D. doi:10.1038/nature08059. PMID 19444206. ↑ Lupp, Claudia (2009). "Microbial oceanography". Nature. 459 (7244): 179. Bibcode:2009Natur.459..179L. doi:10.1038/459179a. PMID 19444202. 1 2 3 Konopka, A. (2009). "Ecology, Microbial in Encyclopedia of Microbiology": 91–106. doi:10.1016/B978-012373944-5.00002-X. ISBN 978-0-12-373944-5. ↑ De Wit, Rutger; Bouvier, Thierry (2006). "'Everything is everywhere, but, the environment selects'; what did Baas Becking and Beijerinck really say?". Environmental Microbiology. 8 (4): 755–8. doi:10.1111/j.1462-2920.2006.01017.x. PMID 16584487. ↑ Madigan, Michael T. (2012). Brock biology of microorganisms (13th ed.). San Francisco: Benjamin Cummings. ISBN 9780321649638. ↑ Fenchel, Tom; Blackburn, Henry; King, Gary M. (24 July 2012). Bacterial Biogeochemistry: The Ecophysiology of Mineral Cycling (3 ed.). Boston, Mass. : Academic Press/Elsevier. p. 3. ISBN 978-0-12-415974-7. Retrieved 25 May 2013. ↑ McDaniel, L. D.; Young, E.; Delaney, J.; Ruhnau, F.; Ritchie, K. B.; Paul, J. H. (2010). "High Frequency of Horizontal Gene Transfer in the Oceans". Science. 330 (6000): 50. Bibcode:2010Sci...330...50M. doi:10.1126/science.1192243. PMID 20929803. ↑ Smets, Barth F.; Barkay, Tamar (2005). "Horizontal gene transfer: Perspectives at a crossroads of scientific disciplines". Nature Reviews Microbiology. 3 (9): 675–8. doi:10.1038/nrmicro1253. PMID 16145755. ↑ Verstraete, Willy (2007). "Microbial ecology and environmental biotechnology". The ISME Journal. 1 (1): 4–8. doi:10.1038/ismej.2007.7. PMID 18043608. ↑ Ott, J. (2005). "Marine Microbial Thiotrophic Ectosymbioses". Oceanography and Marine Biology: An Annual Review. 42: 95–118. ISBN 9780203507810. ↑ "Microbiology of the Built Environment". www.biomedcentral.com. Retrieved 2016-09-18. ↑ Kramer, Axel; Schwebke, Ingeborg; Kampf, Günter (2006-08-16). "How long do nosocomial pathogens persist on inanimate surfaces? A systematic review". BMC Infectious Diseases. 6 (1): 1–8. doi:10.1186/1471-2334-6-130. PMC 1564025 . PMID 16914034. 1 2 3 "How long do microbes like bacteria and viruses live on surfaces in the home at normal room temperatures?". Retrieved 2016-09-18. ↑ "Raw Diets Linked To Salmonella". Retrieved 2016-09-18. ↑ Tong SY; Davis JS; Eichenberger E; Holland TL; Fowler VG (July 2015). "Staphylococcus aureus infections: epidemiology, pathophysiology, clinical manifestations, and management". Clinical Microbiology Reviews. 28 (3): 603–661. doi:10.1128/CMR.00134-14. PMC 4451395 . PMID 26016486. ↑ "Many factors involved in decolonization of S. aureus". www.healio.com. Retrieved 2016-09-18. ↑ Buehlmann, M.; Frei, R.; Fenner, L.; Dangel, M.; Fluckiger, U.; Widmer, A. F. (2008-06-01). "Highly effective regimen for decolonization of methicillin-resistant Staphylococcus aureus carriers". Infection Control and Hospital Epidemiology. 29 (6): 510–516. doi:10.1086/588201. ISSN 0899-823X. PMID 18510460. ↑ "The bacteria-fighting super element making a return to hospitals: Copper". Washington Post. Retrieved 2016-09-18. ↑ "Silver nanoparticles kill germs, raise health concerns". Retrieved 2016-09-18.